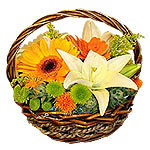 Product description: Make someones day truly delightful by sending this lime twist basket. 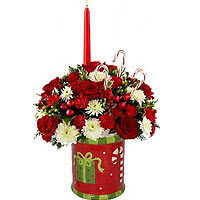 Its Composed of gerbera, lilies and more. 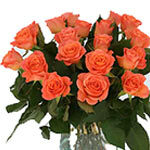 Make someones day truly delightful by sending this lime twist basket. Its Composed of gerbera, lilies and more. Delight your loved ones with this Gorgeous Triple Selection Red, White N Rose Wine Gift Set that combines happiness and excitement to deliver your love to them. This bright Hamper comes with a Bottle of "S" White, a Bottle of "S" Rose and a Bottle of "S" Red Wines from Sgouridou. 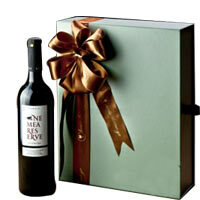 Gift someone you love this Gentle Triple Delight Nemea Reserve Semele Wine Gift Set to steal his/her heart. This awe-inspiring Hamper comes with Three Bottles of Nemea Reserve Semele in Box House of Wine.